Advocacy: We can accompany you to Court, DSS, school meetings, and more. Respite care: Everyone needs a break sometimes. We provide fun, enriching activities for children to keep them engaged and entertained, while you enjoy some free time. Support groups: A confidential, nurturing, and positive experience with others who understand what you are going through. Connecting with others this way provides you with a rich support network. Accompanying child care available. Home visits: We come to you and help you in the comfort of your own home, encouraging and supporting your family’s healthy development. Youth programs: An opportunity for youth to engage in constructive, fun activities with other youth who have had similar experiences. Family events: Welcoming the whole family to join in the fun and connect with our community of families! 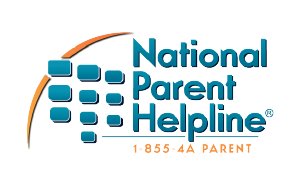 Needs based assistance/information and referral services: We explore individual family needs and provide assistance on a case-by-case basis. Sometimes families have specific needs that can be served by additional programs in the community. We work with you individually to make connections with other community supports. The Family Forever! Permanency Resource Center has three office locations in Plattsburgh, Malone, and Tupper Lake - but don’t worry, we will also come to where you are! A New York State Office of Children and Family Services Kinship Caregivers Program and Permanency Resource Program.